Programs – Santa’s Secret Shop® & The Holiday Gift Shop® | Fun Services Inc.
Our Santa’s Secret Shop® and The Holiday Gift Shop® Programs were designed to provide students with an opportunity to purchase high quality gifts for family and friends at school in a safe, comfortable and friendly environment. It is an educational experience, where students learn the importance of saving their money and budgeting for holiday surprises. All purchases are “kid priced” with a 100% satisfaction guarantee! 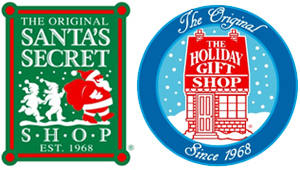 For over 45 years, Santa’s Secret Shop® and The Holiday Gift Shop® have been delivering our industry leading holiday shopping programs to schools across the country. The wealth of knowledge and experience that we have accumulated as America’s longest running gift shop provider has enabled us to offer our customers the most polished and professional shop available. Each year, we hand pick our gift shop merchandise lines. Our team of talented designers are dedicated to developing new and exciting gift products that can’t be found anywhere else. Our nation-wide network of locations also gives us a buying power advantage, which allows us to offer the highest quality gift merchandise at the lowest prices available, every holiday season. 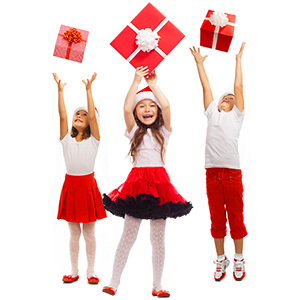 Our Santa’s Secret Shop® and The Holiday Gift Shop® Programs offer no hassles, no problems and no risk! We deliver your gift shop merchandise on consignment. We accept unsold inventory and do our very best to make your shop as easy and fun as possible. We strongly believe that your success is our success, and we want to earn your business year after year by helping you to meet and exceed your individual goals. Fun Services has set the bar in the holiday shop industry. If any of our competitors have failed to meet your expectations in the past, let us show you the difference we can provide firsthand. We are the Original and are still the very BEST.